The long old road of truth awaits those who ride motorcycles. We somehow find our way to places we think we’ve been only to find this time it’s different. It isn’t always about what we see, but more of what we find. Finding the truth about myself and giving validation to everything that goes on inside this pretty little head of mine is exactly what I need when the moment is right. Sure, sometimes those moments are few and oh, so far between. 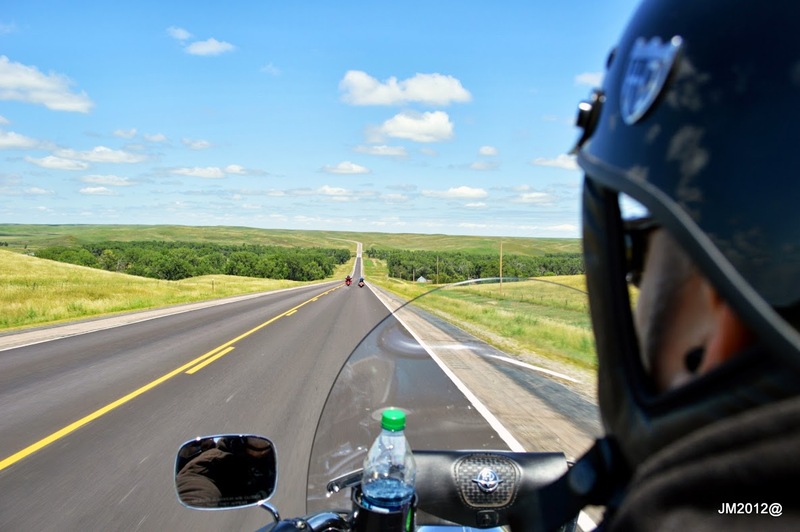 Winter can be longer and harder for a motorcyclist as we need the constant motion and the tilting of horizons to be plumb again. The less vertical we get our bikes, the more true we feel. It’s all about calibration. When we finally find answers to questions we never asked, it becomes apparent there is more to us than meets the eye. We ride to not only lose ourselves, but also to get an understanding of why we desire to get lost in the first place. Having ridden motorcycles for so many years it has proven itself as a vehicle for answers. What’s over the next hill and around the next curve? My motorcycle will answer that question. 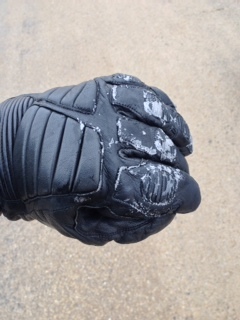 How cold is it and how hard is it raining two miles down the road? Yep, you got it. How far is the next gas station and will I make it? I’m confident my motorcycle will let me know the answer to that one. Not every answer is something we want to hear or see for that matter. Those answers to life’s questions come to me in the form of reflection and contemplation. I’ve often said my motorcycle is where I do my best thinking and this remains true. The longer the ride, the further I reflect. Reflection seems to put me on the road to find what I search for internally. I don’t know if we are designed to find all the answers to life’s questions as I think it is the search for these answers that keeps us moving. As long as I’m moving, I’m good. You have your own reasons for riding as I do. Our motorcycles provide us with the stimulation for all our senses and it’s hard to give just one reason. Transportation, recreation, motion and emotion is a lot to expect from our bikes but they handle it well. I can do my best thinking when I’m not thinking about much at all, and I often see more of my surroundings without even looking. An amazing machine for such a simple guy like me. At times it can seem like a desperate situation, one minute you’re a hero and the next a total zero. It’s hard to make up for those times when expectations are high and then reality beats you down. Some days it’s just not worth all the hassle. On the other hand, determination will take over and you feel like no matter the odds, you can – and will overcome. We ride. Sometimes we don’t ride. Sometimes we need to ride regardless of the weather. This morning it is freezing drizzle. Today, I’m looking for a particular Ground Hog. I know it’s not his fault. Just like our local weatherman, both are just messengers of truth, or rather speculation, on what we motorcyclists consider the key ingredient to our particular mode of transportation. Good weather is our gasoline and right now for some motorcyclists the gas station is closed. Toying with our emotions is never advised and we put such high hopes in all you represent. How long will you keep us off our motorcycles? Maybe the greater question is CAN you keep us off our motorcycles? So today I ride. I ride in search of you my friend – to show you that it is not my desperation to ride, but rather my passion to ride! Alas, I do not blame you. It’s your job to be the bearer of news, good or bad. And I will lift you to shoulder height when the news of an early spring comes, but not today. So hide in your stump, Phil. Look away from me and know that for the next few weeks we are not friends. Our relationship will always have its moments, but for now you are dead to me. 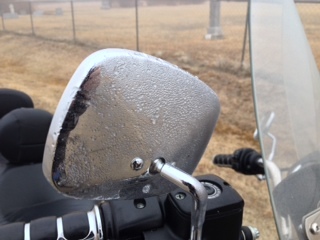 We can choose to be fair-weather riders and have our riding habits dictated by fury animals and “weather in motion”. But if the garage walls appear to be closing in, it’s time to get out – and ride. I prefer to ride!